There are some today who believe that it’s time to put the poppies away, let go of the past, and stop commemorating Remembrance Day. Some believe it should no longer be a statutory holiday, others say it “glorifies War” – an activity that only the criminally insane would ever contemplate. And for one giant global sports brand, apparently wearing a poppy is considered nothing more than a “political statement”. Nothing could be further from the truth. The poppy still matters. Remembrance Day still matters. And they are both worth fighting for – because they represent those who fought – and died – for us. 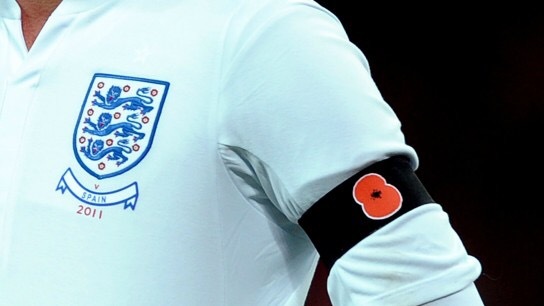 The BBC reported on November 1 that Zurich, Switzerland-based FIFA, the international union of 211 member associations that governs worldwide football, turned down a request from England and Scotland for players to wear armbands featuring poppies when they face each other at Wembley on Armistice Day (Remembrance Day in Canada or Veterans Day in the United States), says the Scottish Football Association (SFA). FIFA doesn’t allow any “political, religious or commercial messages” on shirts. The teams were allowed to wear black armbands embroidered with poppies in November 2011, after Prince William and British Prime Minister David Cameron appealed to the football governing body. Certainly the poppy is not a religious or commercial message. So we’re left to believe it’s a political message? Surely World Wars I and II are much more all-encompassing than a debate about politics? In World War I, more than 10 million soldiers on both sides – including 6 million Allied troops – were killed on the battlefield. Another 9 million civilians were killed in the crossfire. Europe buried an entire generation of young men, changing their landscape and history forever. Great Britain (whom FIFA believes doesn’t need to be wearing it’s history on its sleeve) alone raised an army of 6 million troops out of their population of 46 million – and 900,000, or 11.5% of those, were killed. Overall, the death toll represented an astounding 2% of the overall population – the largest loss of life in the 1,000-year history of Britain from any conflict. Canada’s contribution was even more priceless – thus perhaps why we are just as upset as our British brothers and sisters. Our little nation of 7 million somehow raised an army of 620,000 troops – that’s 1 out of every 11 people in the country. Today, with 35.6 million people, an equivalent army would number 2.9 million people – or the entire populations of Saskatchewan, Manitoba, Prince Edward Island and Newfoundland put together. But our total losses on foreign battlefields with names like the Somme, Vimy, and Passchrndaele changed us forever – with 67,000 killed and 250,000 wounded, nearly 40% of our armed forces ended up casualties of this Hell on earth, representing 5% of our population! Perhaps people in Zurich, Switzerland where FIFA is located, a neutral country in both wars, cannot relate to the horrors of war. That’s an enviable position to be in for sure. …those nations who remember and honour that terrible price have a RIGHT and a RESPONSIBILITY to commemorate those who freed our world of evil and tyranny, and who laid the foundations for our Western greatness and freedoms with their bodies. From a business perspective, it makes no sense for FIFA to snub their nose at an event that millions of people commemorate. Every year, more than 40 million poppies are sold in the United Kingdom alone to support the Legion. 40 MILLION. In fact, I could even go one step further and say that to ignore or to even insult the memories of the fallen dead within Wembley Stadium on November 11 will have negative repercussions on FIFA for a long time to come. FIFA is making a political statement here by banning the poppies – they are saying that the millions who died don’t matter, that their sacrifice isn’t as important as corporate image, or as necessary as insulting some modern leftwing pacifists’ delicate sensitivities. We, from both sides of that terrible War, know better. FIFA also doesn’t seem to recognize that a new generation of school children are finding a new interest in Remembrance/Veterans/Armistice Day, and attendance has never been better. Why? Because we all need to believe in heroes, more than ever before. The next generation needs to see peace on Earth modelled for them. They need to be taught that sacrifice isn’t a wasted effort, that “I” and “self” can be our greatest threat. We all need to hope and strive to never see war like this ever again between nations. And a people that forget their history are doomed to repeat it. Citizens of the United Kingdom, and football players of England and Scotland, disobey the rules. Let’s not “break faith with those who died”. Wear your poppies with pride. These men and women have earned your honour. They have earned your commemoration. So we “Take up our quarrel with the foe.” FIFA, their young players have earned all of our respect for their patriotism and desire to do the right thing. 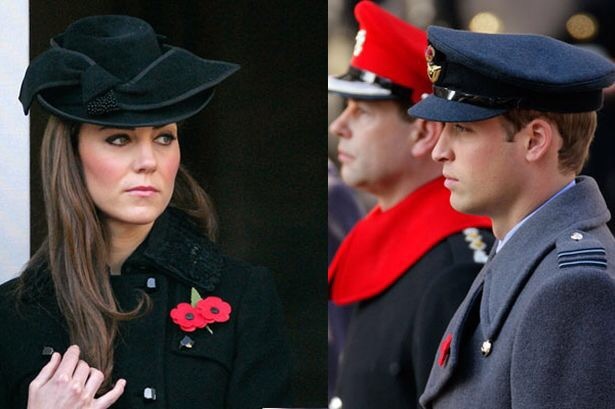 We hope they all come to the game wearing their poppies, violating your rules. You can even fine them if you wish – an outraged world will happily pay it. Unlike American football players who can’t seem to even stand for their anthems, these young men simply want to show respect. Maybe you should return the favour to them. You should know from history that the United Kingdom doesn’t get told what to do, nor will they forsake their dead heroes for you. I anticipate the stands in Wembley Stadium to be a sea of red. And if you don’t change your opinion before November 11, you may find your global financial statements will be a similar color.